Bio saw chain oil 69905310 https://www.kaercher.com/my/accessory/bio-saw-chain-oil-69905310.html Biodegradable saw chain oil reduces the wear of hinges and links on the saw chain of the battery-powered chainsaw CS 330 Bp. Can be used at ambient temperatures of −30 °C. Biodegradable saw chain oil reduces the wear of hinges and links on the saw chain of the battery-powered chainsaw CS 330 Bp. Can be used at ambient temperatures of −30 °C. 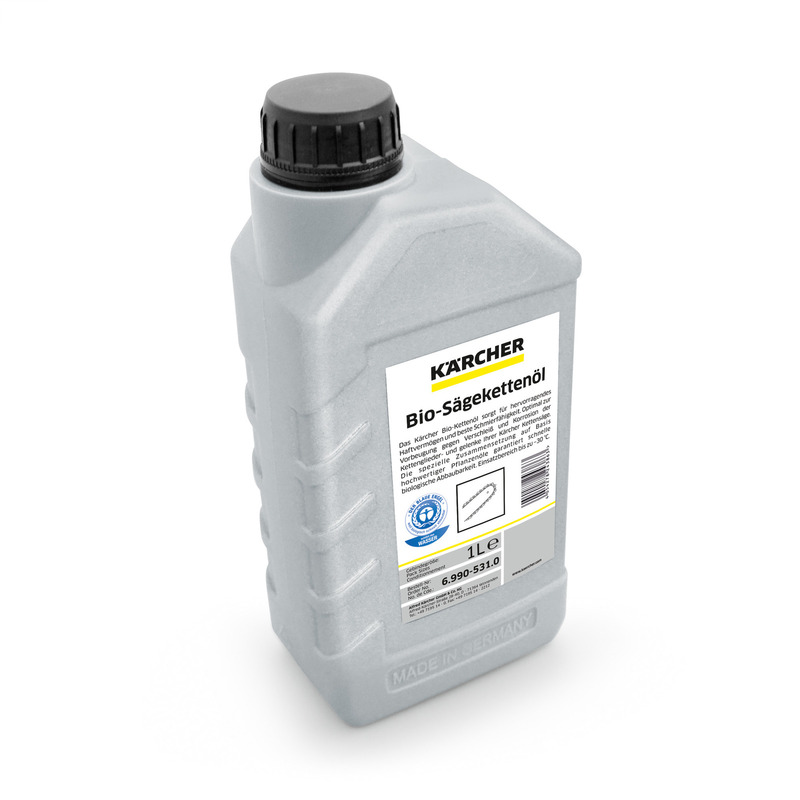 Effectively reduces the wear of hinges and links on the saw chain of your battery-powered chainsaw CS 330 Bp, thus extending the life of the chain: Bio saw chain oil from Kärcher. The biodegradable saw chain oil with the Blue Angel ecolabel is made from high-quality vegetable oils. It has excellent adhesion and lubrication properties and allows work activities up to an ambient temperature of −30 °C.